Workshops and dealerships that require complete diagnostics. The EXP- 1000 series tester is the ideal tester for this application. 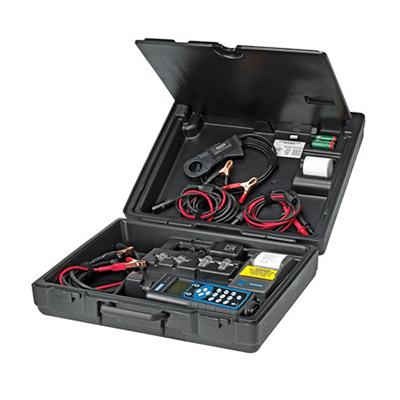 It offers complete battery diagnostics including temperature measurement and deep scan testing. Furthermore, it has a multi meter and an amp clamp built in which allows for enhanced alternator diagnostics as well as starter testing. The IR printer provided allows the ability to record results. This tester has the highest testing ability being able to test batteries from 100 – 3000 CCA.